Pumaspeed Demo Mk2 RS Focus shown above. 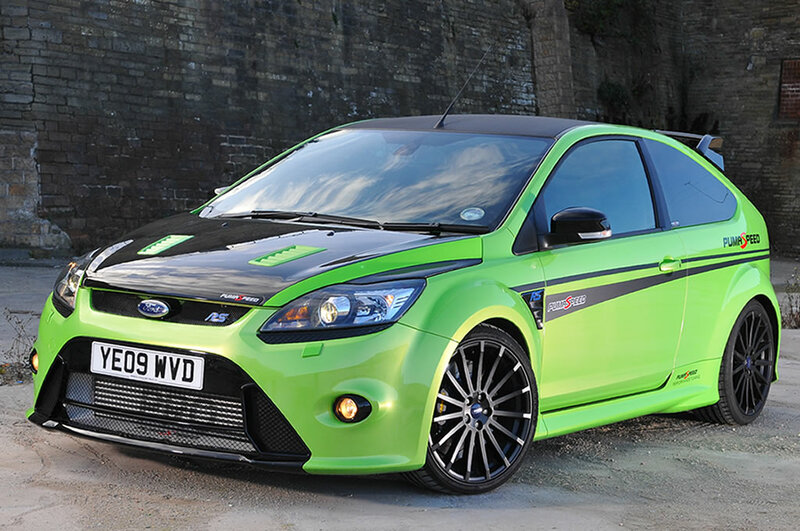 This already very capable Focus RS has proven itself to be a real hit with the tuning customer. With very simple and inexpensive modifications you can create a monster with over 400 bhp. Power kits are available to 365bhp with standard 412cc injectors or up to 440bhp with increase fuel supply from 650cc and 750cc injectors. Take a quick look at the Focus RS Performance Tuning Packages they will give you a good idea of the simple tuning process. Performance Tuning upgrade components have been thoroughly tested then chosen for both Quality and Performance. From a simple Pumaspeed Reflash Chip to the Full Blown Power Kit our emphasis on trusted, reliable, quality components fully working in harmony will create a fully rounded driving experience that both you and your passenger will enjoy to the MAXIMUM ! All are available DIY of fully fitted in our workshop.